Our Trastevere Food & Wine tour is specially tailor to be a sunlight tour in order to enjoy the atmosphere of this amazing neighborhood like a real local. The tour starts at 11am and walking through the narrow cobblestone streets and laneways of this area you start to feel like a local. You will find the artisan shops and restaurants run by locals and their families for many generations. You will explore all these secret places together with your local and expert guide! Do not miss your camera for beautiful shots during the day! 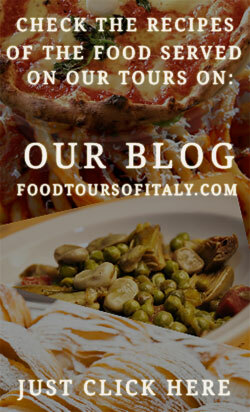 During this experience you will stop in 6/7 different places to taste the real local food, you will visit the most delicious and traditional restaurants of Trastevere area and all that will be combined with a great sightseeing of this area known for its authentic eateries, art and historic treasures. As part of the tour you will visit the Basilica of Santa Maria, Tiberine Island, Sistine Bridge, Piazza Trilussa and other amazing sites. This is a place in Rome like no other, where you will feel the real atmosphere of being in Italy and will find out how Roman’s preserve their traditions. 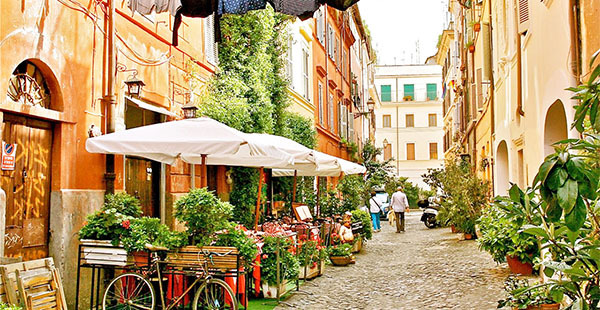 Rome cannot be truly experienced if you haven’t visit Trastevere! Pick this tour and find out quickly why Romans love this neighborhood and why it’s so special together with your local and expert guide.